Bar Poker Open $200,000 June 2019-- HOW TO QUALIFY! IT'S OFFICIAL WE ARE RAMPING UP AGAIN FOR ANOTHER AMAZING $200,000 NATIONAL BAR POKER OPEN EVENT IN JUNE 2019! WE will be hosting the $200,000 National Bar Poker Open Championship and you are all invited! Mark your calendars, we plan to have at least 200 Eastern Poker Tour Players there with a TON of great ways to earn invites, win seats, win packages, and experience the Largest Bar Poker Championship in U.S. History! What will you expect at this year's Bar Poker Open National Championship? It's THE Poker Party of the Winter that you Do Not Want To Miss! - 12 More Open Events with another $300,000 in anticipated prize pools! 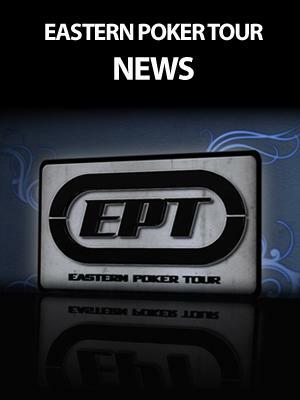 - Party and play with 100+ other Eastern Poker Tour Players! For now, you can relive 2018 $200,000 National Bar Poker Open event where we ended up crushing the guarantee and paying our $250,000! Step 2: Play against other leagues on BarPokerOpen.com every Sunday at 11AM. - Top 4% win seats into your choice of the $200K National Championship! - First Place Online even wins a Full Vegas Package for First Place as well! - Win $30 Travel Satellite Vouchers Starting in 2019, every night, the Top 10% that event will earn a $30 Travel Satellite Vouchers to play for Full Vegas Packages Every Saturday on the house! Starting 2019 as part of the Saturday Charity Events, there will be $30 Travel Satellites every Saturday at 1:00 PM to win full Vacation Packages to Vegas!! If your in the Top 10% by May 1st, you will also invited to buy-in to play in the $100,000 National Championship for only a $235 total cost. Not a bad price for the enormous prize pool and the entire weekend will be an absolute blast! -- WIN A CHARITY EVENT AND YOU ALSO RECEIVE A SEAT (Day1A) into the NATIONAL $200,000 BAR POKER OPEN CHAMPIONSHIP! Winner Every Night At Every Event for the Full Season, can win a seat into the $200,000 Championship. As a seat winner, your only cost would be $35 house fee in Vegas. If you have any questions regarding this or any promotions, please contact us today!